I highly recommend the quality of work, professionalism and speed in which Selina works. She helped me free my time. She has added immense value to the marketing team, despite working virtually. I have absolutely no hesitation in recommending her competency for any project. Selina successfully executed complex, multi country travel, at most last minute with attention to detail. With an extensive and ever changing schedule, I always knew when and where I had to be. She was very professional and courteous when liaising with prospects, clients and colleagues. I admired her keen interest and in-depth knowledge of my lectures, the company’s milestones, acquisitions and product developments. Exceptional support from a dedicated person. For an utterly scatty and non-tech "creative" person like me, Selina is an absolutely Godsend. In her calm, quiet way she peels me off the ceiling when I am panicking about something and serenely manages the complex elements of my business with charm and capable efficiency. Her knowledge and expertise in a wide range of business skills fill me with admiration and I would thoroughly recommend her to anyone in need of a very, very "high-end" VA who still manages to keep her rates reasonable. 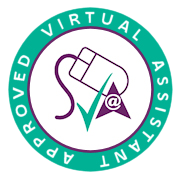 I have used Selina’s services several times already to update and review some of my business processes. She has proved herself to be incredibly patient, experienced, knowledgeable and efficient on all occasions. Selina is someone I would highly recommend and I will definitely use her services again when needed. If you're looking for a VA to help you with any aspect of your business, I can highly recommend Selina, she is incredible patient and easy to work with. She has helped me through the GDPR 'opt in' process with my database and I will look forward to continuing to work with her on other projects going forward. I found Selina through a LinkedIn search, and from the beginning she stood out with her professionalism: no gimmicks and up-selling, just pure care for your requests. Having started with simple clerical and research tasks, she has since arranged complex business trips for me, where it would have been very painful to be stranded at a strange airport. Instead, Selina has always delivered what I'd expected and more: suggesting improvements on the language and design of documents, arranging hotel upgrades for a better price and forwarding the occasional article on work effectiveness. Selina is an exceptional person who exercises maturity, discretion, tenacity and common sense in equal measure. Her diplomacy skills kept the boundaries of my work time and access perfectly balanced. She had the instinct to know what I needed and delivered work that was consistently accurate and ahead of a deadline. Not having to micro manage Selina freed me to manage the business, which is exactly what I hope for in an assistant. Selina was an extremely efficient, professional and pleasant Executive Assistant who I would encourage any Senior Executive to consider. She was extremely committed and always willing to accept challenges. I had the pleasure of working with Selina for two and a half years. During this time I have been very impressed with her attention to detail, commitment and ability to learn about the aviation industry and adapt to changes. She is very reliable and has been highly proactive in driving forward projects in an often difficult environment. I could always rely on her to communicate sensitive matters in detail and confidence.